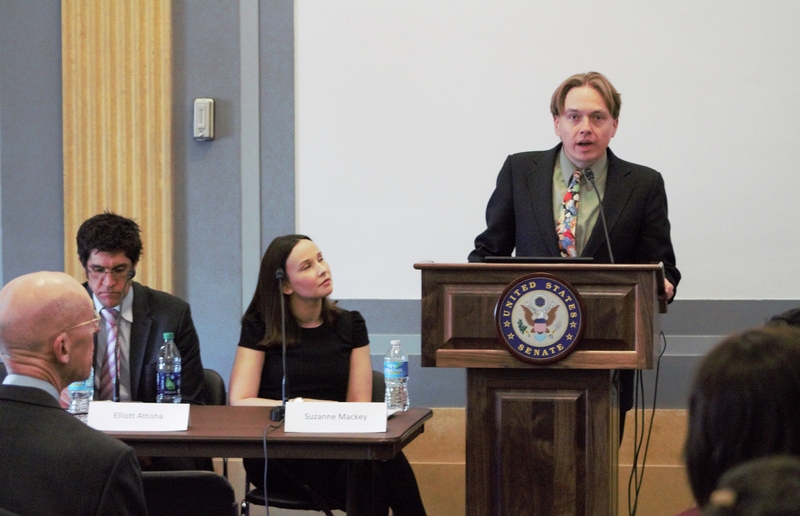 The School-Based Health Alliance recently hosted Capitol Hill briefings to raise awareness among federal policymakers about school-based health centers (SBHCs). The briefing coincided with the introduction of the Hallways to Health Act—a comprehensive school-based health care “vision” bill—and 2016 National School-Based Health Care Awareness Month. Suzanne Mackey, Senior Policy Analyst at the Alliance, was joined by Dr. Elliott Attisha from Henry Ford Health System in Detroit, Michigan, and Dr. George Stablein from Cabin Creek Health Systems in Clendenin, West Virginia. Together, they discussed how SBHCs serve as critical access points for mental health services and address non-academic barriers to learning. The presenters hosted two briefings—one for the Senate and one for the House of Representatives. 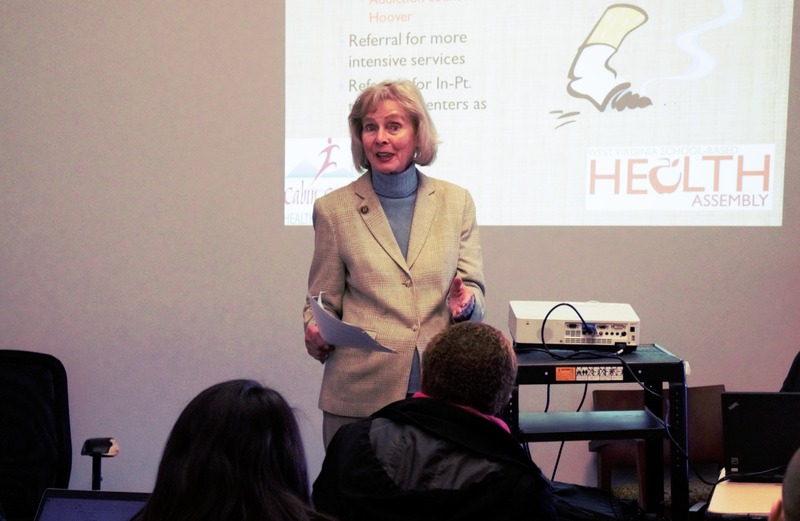 Congresswoman Lois Capps (CA-24) stopped by the House briefing to talk about why she’s been a longtime advocate for SBHCs. The school-based health providers talked of challenges unique to their environments. Care coordination, for example, is especially complicated in inner-city Detroit, where one in four families don’t have access to a vehicle, and travel to a health center or pharmacist is nearly impossible. In mostly rural West Virginia, children and families are disproportionately affected by the nation’s obesity and drug abuse epidemics. One problem common to both communities is the number of children who attend school bearing the burden of trauma and adverse childhood experiences (ACEs). These stressors are linked to higher instances of medical diseases (asthma, Alzheimer’s, diabetes), mental health problems (depression, suicide ideation), and an increased likelihood of risky behavior taking, such as substance use and sexual activity. 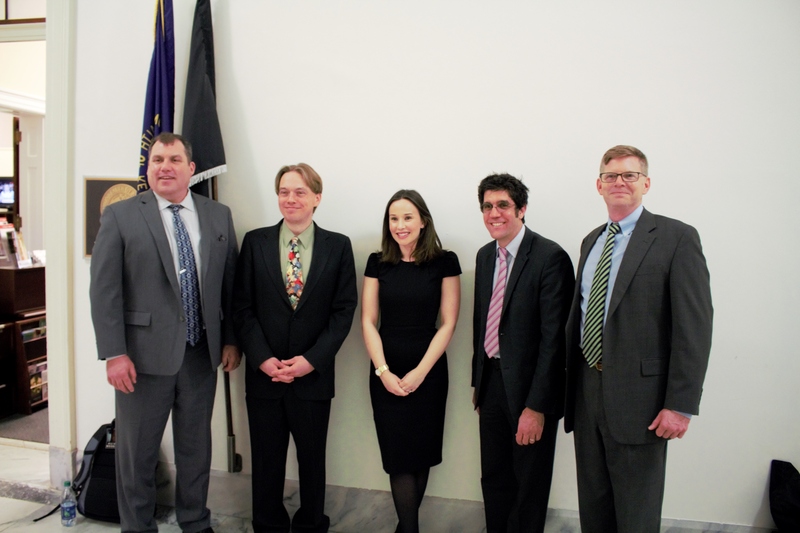 Between briefings, the presenters visited the offices of their elected officials to press for their support of the Hallways to Health Act, which was introduced on February 26 by U.S. Senators Debbie Stabenow (D-MI) and Gary Peters (D-MI) and Congresswoman Lois Capps (CA-24). They were joined by John Schlitt, President of the School-Based Health Alliance, and John Bindas, Executive Director of the School-Community Health Alliance of Michigan, in meetings with U.S. Senators Joe Manchin (D-WV) and Shelley Moore Capito (R-WV), and Representatives David McKinley (WV-1), Dave Trott (MI-11), Mike Bishop (MI-8), and Fred Upton (MI-6). The Alliance met with these Members to ask them to cosponsor the Hallways to Health Act—an important first step in getting the legislation passed. Stay tuned for how you can get involved, including using our Advocacy Center to contact your Members of Congress.